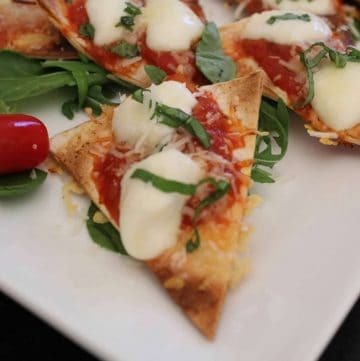 Bite-sized Italian Margherita Nachos are quick, easy and the perfect accompaniment to dinner, brunch, lunch or as an appetizer! The Margherita pizza hails from Naples, Italy and was originally created for Queen Margherita of Savoy in the late 1800’s. Interestingly, the iconic pizza was developed to replicate the colors of the Italian flag-red, white and green, with the signature ingredients including a crispy crust, fresh red tomatoes, fresh green basil and white mozzarella cheese on a crispy, baked flatbread. Most likely, the fresh tomatoes were San Marzano, which continue to grow plentiful at the base of Mt. Vesuvius, which is about 5 miles from Naples. This recipe for Margherita Nachos is a spin-off the famous Italchos™ that the famed Dallas restaurant Terilli’s introduced back in the 70’s. 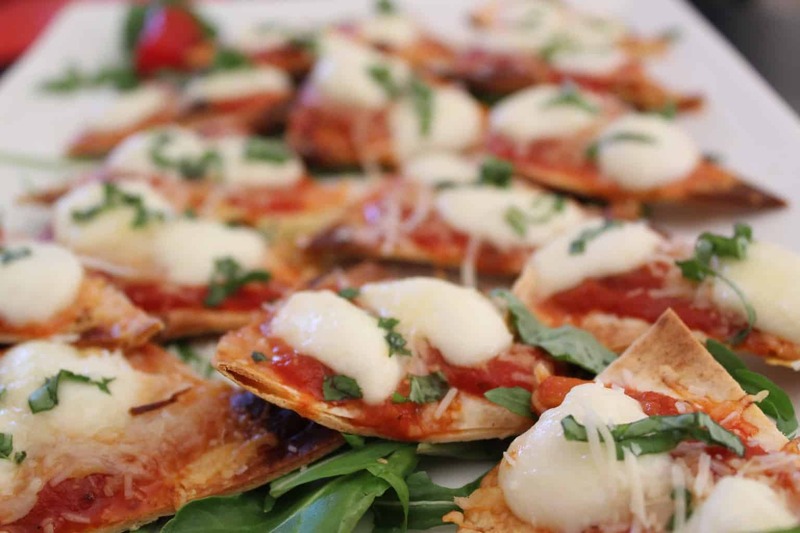 The beauty of these Margherita Nachos is that you don’t have to bake bread! Simply cut a flour tortilla into quarters and bake…you’ve got the first step–a crispy base for the Italian nachos! Use a low-carb and/or whole grain tortilla to minimize the carbs. How Do I Make the Base of the Margherita Nacho? Cut a flour tortilla into quarters. Place tortilla triangles on a lightly oiled parchment-lined baking pan. Lightly spray olive oil over the top of the tortilla triangles; sprinkle a tiny bit of garlic powder on each tortilla and bake at 375ºF for 8-10 minutes. Fresh San Marzano tomatoes are the most flavorful, but it’s hard to find large San Marzano tomatoes, so I used small San Marzano’s. Grape tomatoes work well, too. What If I Don’t Have Any Tomatoes? Use a prepared, organic marinara sauce or make your own San Marzano marinara sauce. What Type of Cheese Goes on Margherita Nachos? Fresh mozzarella is the most traditional cheese used for Margherita pizzas; this recipe uses Ciliegine, which are small “Cherry Size” balls of mozzarella. However, if Ciliegine are not available, any fresh mozzarella will suffice–just cut it into small cubes so it will melt a bit under the broiler. Once the crust of the Margherita Nachos has been baked, simply add fresh tomatoes (or marinara sauce) and a few small pieces of fresh mozzarella. Place under the broiler for 3-5 minutes, until the cheese has melted sufficiently; finally, remove from oven and garnish with fresh basil. 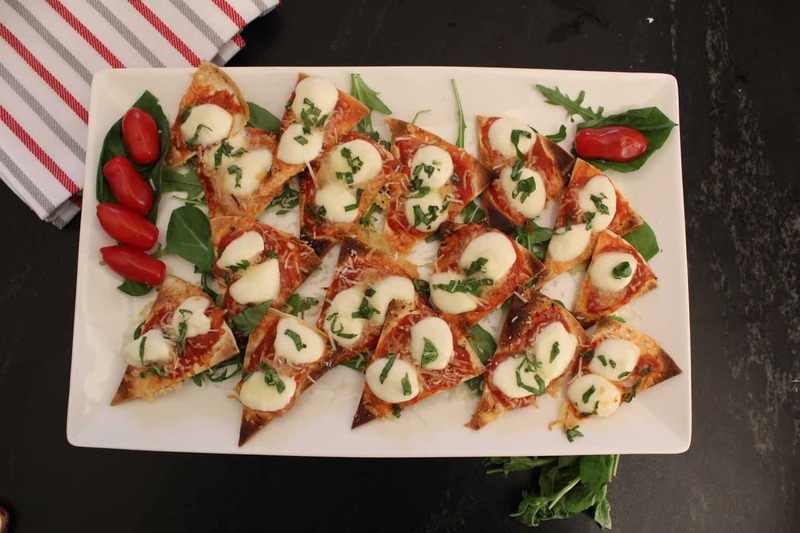 Crispy and savory bite-sized Italian Margherita Nachos with fresh tomatoes, mozzarella and basil! Perfect for any gathering and easy to make! 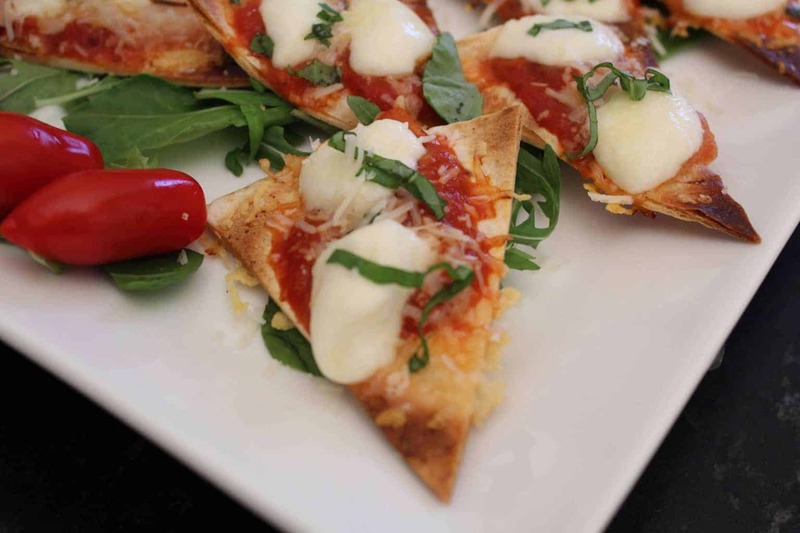 For the crispy base of the Margherita nachos, use a regular, or low-carb flour tortilla. Fresh mozzarella is a must for these delicious nachos. It doesn't take much, but shredded mozzarella seriously misses the mark. Looking for other great Italian dishes? 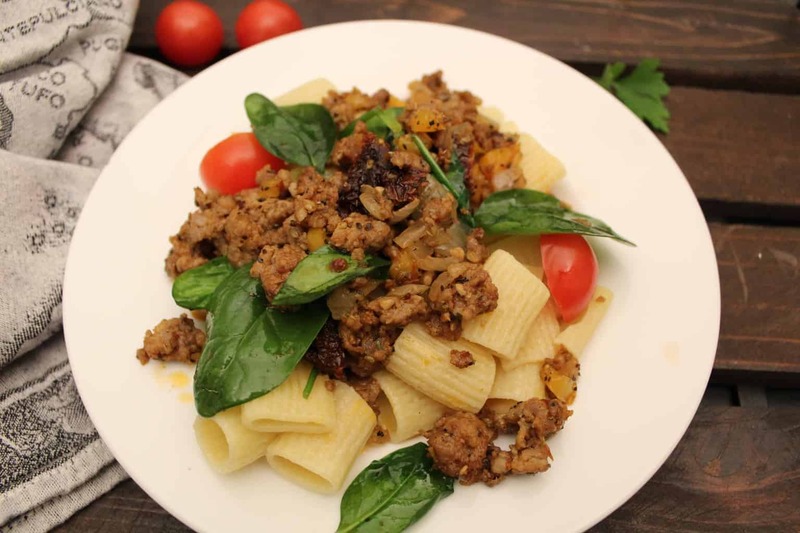 Try this quick and easy Italian Skillet Supper!